The watchman on the wall sees an invading army and calls the people to battle stations. In the opening two chapters of Joel, he sounds and resounds the alarm. An army is coming that covers the skies in darkness and the land in flames. What kind of army does Joel foresee? The writer of Hebrews declares, “The Lord will judge His people. It is a fearful thing to fall into the hands of the living God.” (Hebrews 10:30-31). Israel viewed the day of the Lord as a day when they would be vindicated as God’s chosen people in the face of their enemies. But Joel and Amos declare that a day of the Lord really is coming, and when He comes, the people of God will fall under judgment. Isaiah serves as a mouthpiece of God in the midst of His people, but that very gift is unclean in light of the holiness of God. In a flash, the veil is peeled back and the terror of God’s Holy Beauty is Unveiled. Isaiah, Paul, John and others fall down as dead in the presence of the Lord. As we begin the Lenten journey, we remember the unveiling of God in all His terrifying glory. The same God who created the heavens and the earth, destroyed the world by flood. When He comes, He exposes us for who we are. All flesh stands naked before the living God. Everywhere he turns, he senses the Lord drawing near. That fastens on my bosom to subdue me. His glory strolls in royal procession. Our righteousness. Think about that for a moment. The very best thing I can offer The Lord falls short; it is still like filthy rags. 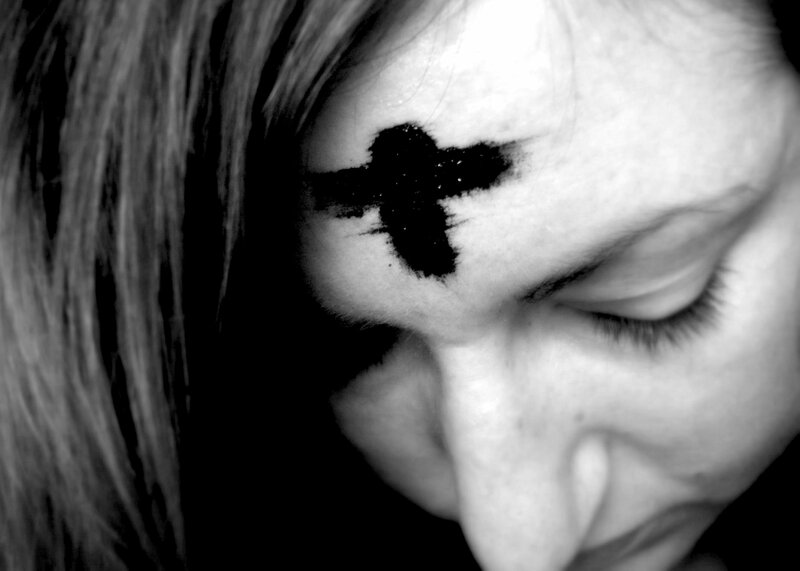 On Ash Wednesday, we behold the Holy God and we behold our sin-stained humanity. It is the revealing of our frailty, our sin, and our bodies that will fail and fall and die. Ash Wednesday sets in a motion a season of stripping away. To use Thomas Merton’s language, our false selves must be exposed, stripped away, so that the true self can be revealed. This time the sounding of the trumpet is not a call to war, but a call to prayer, a call to fast, a call to mourn, a call to repent. Like a call to war, this call comes with passion requiring immediate response. Don’t delay one moment. Run to the Temple. Cry out to God. Seek His face while He may be found. Paul echoes the urgency in his letter to the Corinthians, “Behold, now is the accepted time; behold, now is the day of salvation.” (2 Corinthians 6:2b). Today we rehearse the call of Joel, Amos, Isaiah and Paul to run headlong into the mercy of God. We must remember and rehearse our desperate need for mercy and grace. So we turn and return to the source of life. The foundation of our faith, and the essence of what it means to be person, the be human, to be a child of God. Sin ages, blinds, weakens, cripples. We live in a world where deathlike patterns of lust and greed and self ambition surround us at every turn. In our news, in our sports, in our entertainment, in our businesses and even in our schools. We are immersed in a world of ideas and images and songs that reinforce our idolatries. John Calvin suggested that these idolatries lead to oblivion. We can no longer see the beauty of the people around us. We can no longer behold the glory of God in the sunrise. Instead of living as grateful children, we are overtaken by bitterness, resentment, anger, selfishness. As we heed the call of Joel to consecrate a fast, to call a sacred assembly; to gather the people, to sanctify the congregation, to cry out ,“Spare Your people, O Lord,” we are truly walking, even running to the cross of Christ. In our Savior Jesus Christ, we return to the Tree of Life. In His body broken for us, in His blood shed for us, we pass through death to life. Jesus leads us home to our Father in Heaven. Let us turn our hearts toward Him. During this season of Lent, we fast, we pray, we give, we worship, we watch for Him. I would encourage us all to pause with the Daily Readings from the Book of Common Prayer and rehearse the journey home with the ancient Israelites, with the disciples gathered round Jesus, with the Apostles writing the New Testament church. Let us as cry out to God for mercy, ask Him to reveal us, expose us, lead us from slavery to freedom. Let us cry out for renewal of heart and mind, that we might truly be living sacrifices of thanksgiving unto our Father in Heaven. Bobi Jones. “Prayer to Keep My Feet on the Ground.” from Bobi Jones Selected Poems (translated by Joseph P. Clancy). This and subsequent quotes from the poem are drawn from pp. 145 -146. “Because children have abounding vitality, because they are in spirit fierce and free, therefore they want things repeated and unchanged. They always say, “Do it again”; and the grown-up person does it again until he is nearly dead. For grown-up people are not strong enough to exult in monotony. But perhaps God is strong enough to exult in monotony. It is possible that God says every morning, “Do it again” to the sun; and every evening, “Do it again” to the moon. It may not be automatic necessity that makes all daisies alike; it may be that God makes every daisy separately, but has never got tired of making them. It may be that He has the eternal appetite of infancy; for we have sinned and grown old, and our Father is younger than we.” G.K. Chesterton in Orthodoxy. Schmemann, Alexander (2010-04-01). For the Life of the World (Kindle Locations 181-186). St Vladimirs Seminary Press. Kindle Edition.